China Glaze Lol- awesome purple polish, one of my favourite! 2 coats, no topcoat. 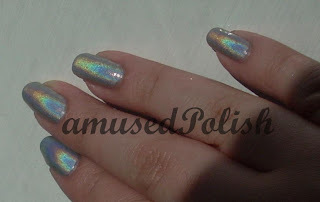 China Glaze OMG- and you might think it when you're wearing it and stare at your nails when the sun directly shines on it ^^. 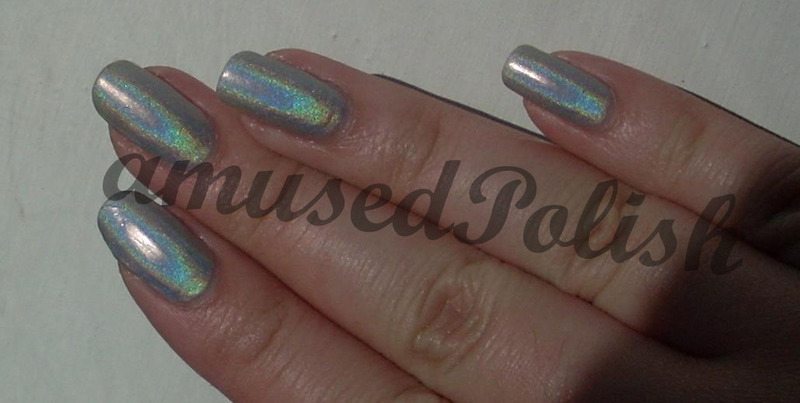 I used 3 coats, as always when I wear holos, no topcoat.